Online booking of activities – all year round! We have picked out some of our most popular winter activities. 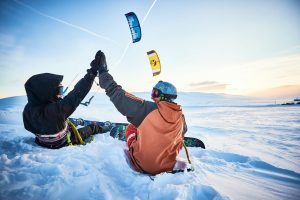 Here we share our top ten adventures you should experience in Geilo! 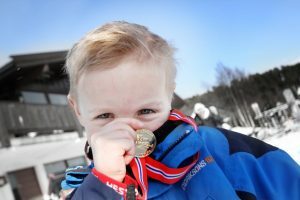 There is an abundance of things to do for families in Geilo! Here are several fun family activities your kids will never forget! With the mountain village of Geilo as a starting point you have access to countless exciting activities. Are you ready for a unique experience in the winter landscape? Are you looking for the exclusive and unique? We offer tours ranging from half day to trip over several days. 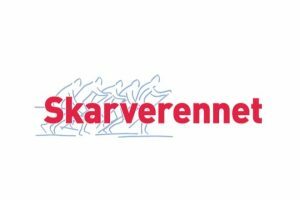 In collaboration with Skarverennet, we have put together a selection of activities you can experience during the week. GEILO365 offers a wide range of exiting activities - all year round. Go book your summer adventure today! We are filling up the basket as we speak. With the national park village Geilo as a starting point, you have access to countless exciting activities, throughout all four seasons. Geilo is located at the half way point of The Bergen Railway which is considered one of the world’s most scenic train rides. 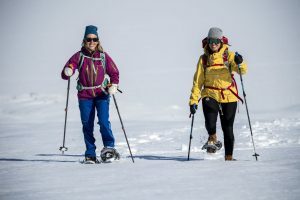 The location makes Geilo easily accessible to anyone who is seeking an adventure in the mountains. Geilo is full of activities for everyone, whether you are traveling with family or friends. 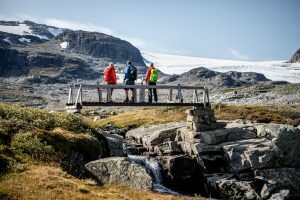 Enjoy the impressive landscapes on a horse back, have fun white water rafting in the Numedalslågen river, or experience the adrenaline rush flying through the air in Geilo Zip line! Read more about our summer activities here. it’s important to offer quality experiences throughout the year, and we are proud to say we have a wide range of daily winter activities. 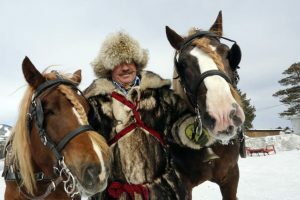 Why not join a horse-drawn sleigh with steaming horses and the sound of sleigh bells, practice your cross-country skills with a guide, or try ice fishing on the Ustedalsfjord? We look forward to take you out on an adventure in snowy scenery and magical winter-atmosphere! You can read more about our winter activities here.